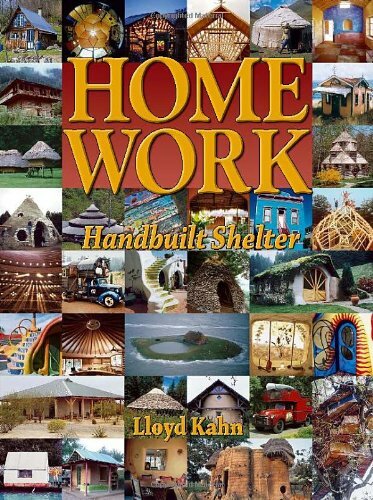 Home Work: Handbuilt Shelter, by Lloyd Kahn, is a large paperback filled with two-page spreads of a wide variety of interesting homes from around the world. The earthbag-papercrete house that we built in Colorado is on pages 88 and 89, so of course I’m always pulling our copy out to show it to guests. And usually they starting browsing the pages. The book is full of amazing and outrageous designs and buildings, but I’m sure that many people have adapted these ideas less dramatically. Whatever your interest in natural building, this is a great book to have around. But watch out – your friends will want to borrow it! Not long ago, I complied a list of books that are on my husband’s site www.greenhomebuilding.com and had sold the most over the past four years, and then I did a blog post listing the top 25. Why did I choose 25 books? Because this one was #25 and I wanted to include it! This is not Lloyd Kahn’s first massive building book. 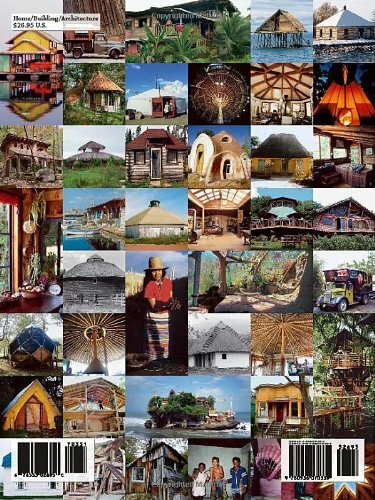 Shelter came out in the 1970s and I’ve heard it said that the section in that book on straw bale houses was responsible for the existence of today’s straw bale building boom. We are in that book too.. I forget the page number, but Kelly and I had just met and were living in a 30-foot school bus he had converted to a sweet home. It even had a piano in it! I’m happy that it is still in print.